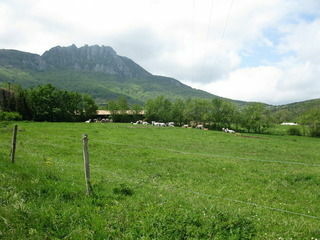 The Farm of La Bastide is located right next to the famous Mount Bugarach in the South of France, in a beautiful historical region called Languedoc-Roussillon, close to the Pyrenees and mediterranean sea. 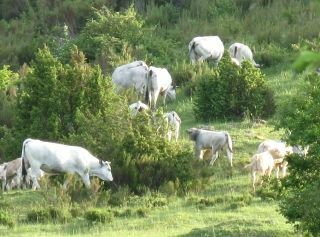 In the isolated hamlet of La Bastide, our family runs a cattle farm and a hostel. Our cows live outside in nature. The animals are born and raised on the farm. They are fed grass in the mountains, our own hay that we make in summer as well as cereals without GMOs or other unnatural foods. Part of the meat production is sold directly to local customers. In our hostel we have dormitories with 6 and 8 beds as well as five rooms with 2 to 5 beds. We make dinner and breakfast for our guests with the products of the farm and other local products. 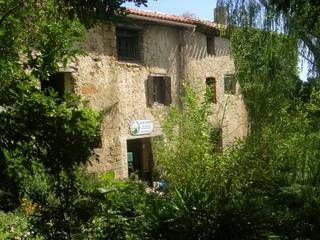 La Bastide is located on two major hiking trails, the Sentier Cathare and the GR 36, in a very quiet, peaceful area that's perfect for hiking or relaxing vacations in the countryside.